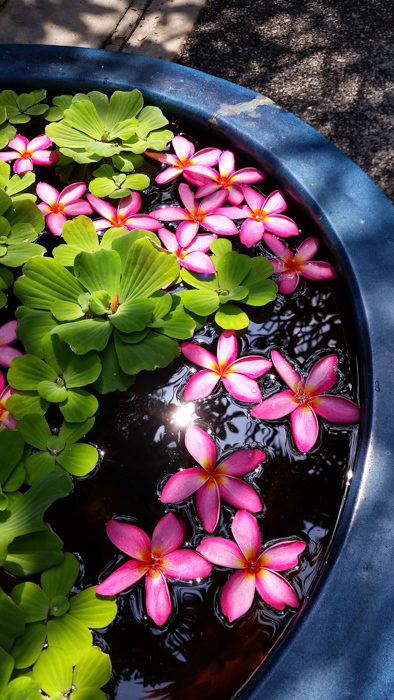 Last Saturday in Thailand. 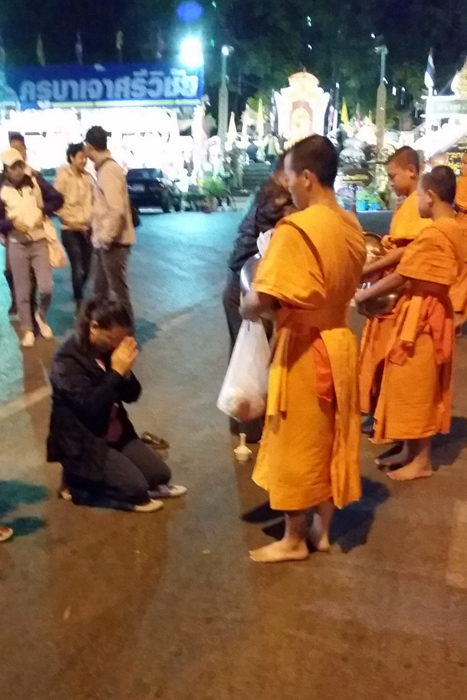 Early in the morning before daybreak I went to the temple and watched the morning offering of food to the monks. 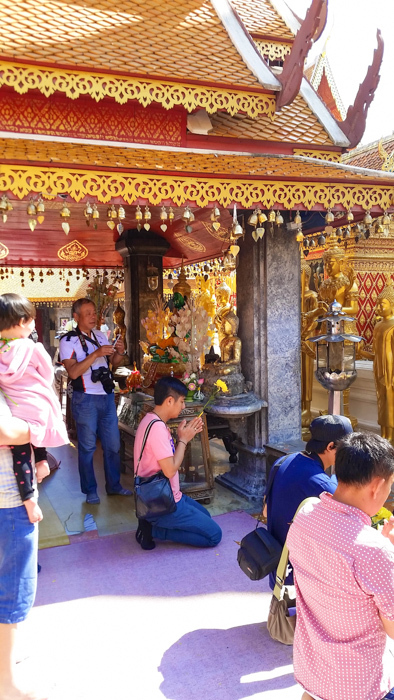 The Buddhist faithful bring food to be placed in their begging bowls and then they kneel for the monk to give a blessing. This is the only food the monks receive and if there is more than they need they give it to the poor. The devotion is stunning and the reverence with which the ritual is carried out is very moving. The monk with whom we had a “monk chat” said that this is a way to inculcate the virtue of giving. This morning offering is instructing the faithful Buddhist to be generous every moment of the day through this discipline. 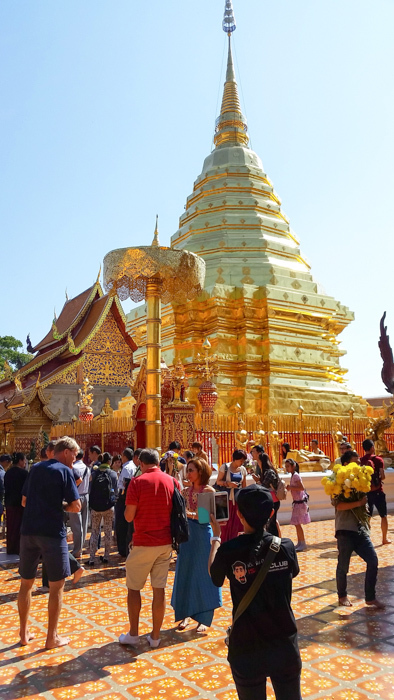 Then on to the Wat Dol Suthep temple. 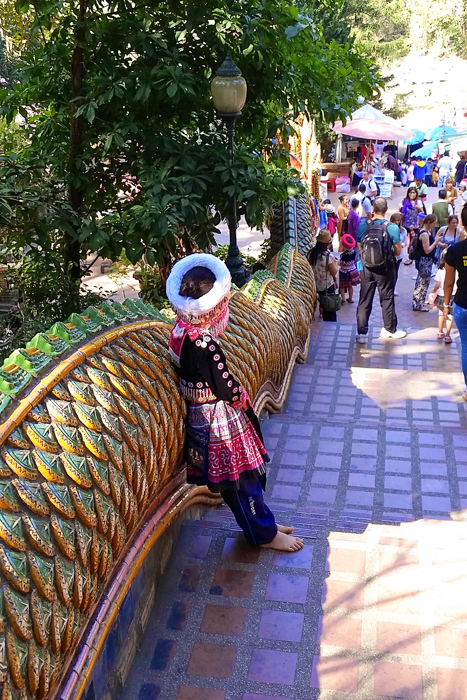 One has to walk up 308 steps to the temple and the stairs are enclosed with a railing of a colorful snake. 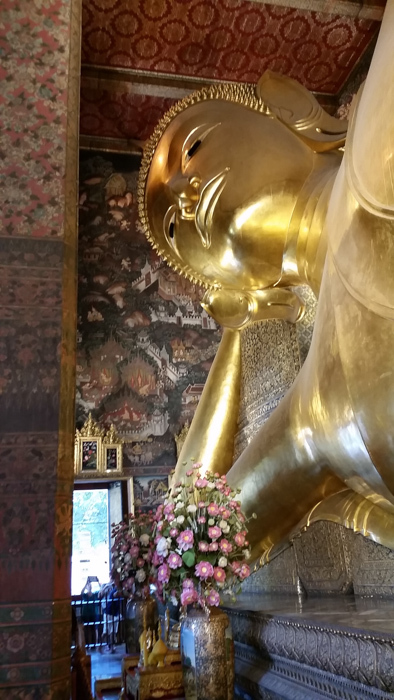 The temples are all surrounded by images form Thai mythology. Once again I am struck by the devotion and piety of the people as they pray. 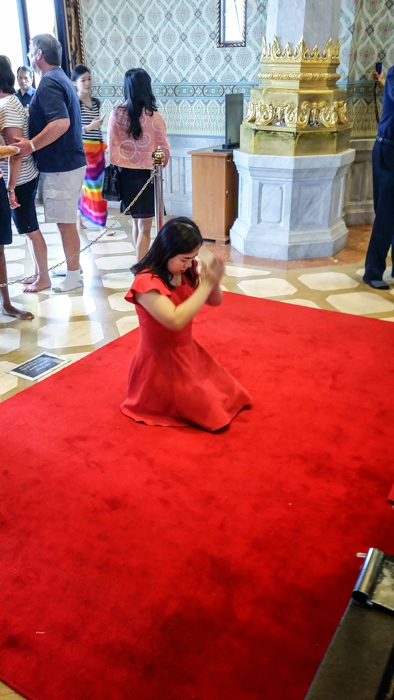 That afternoon I walked to the cathedral of the Sacred Heart and encountered a young Thai deacon who will be ordained a priest in June. I asked where he was from and he said he was from the Karen tribe. And then asked if I had heard of the tribe. I said yes because a few days arlier we visited the Karen tribe, that is, the longneck people. 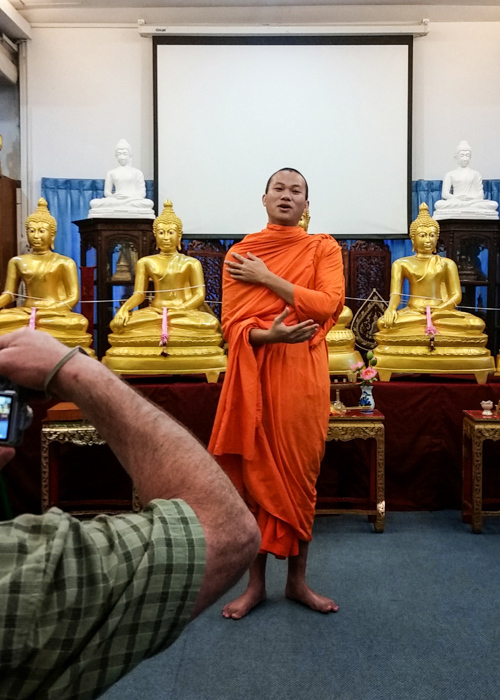 He said his father was a Buddhist and mother a Protestant however he converted. I asked how his parents felt to which he said they were okay with it as long as he believed in one God. I had several conversations with Thai priests from different tribes that evening. 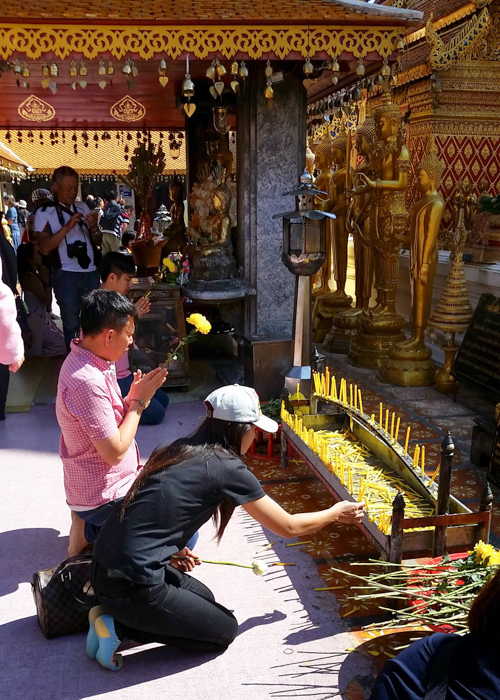 They said the Thai people are very respectful of all religions. 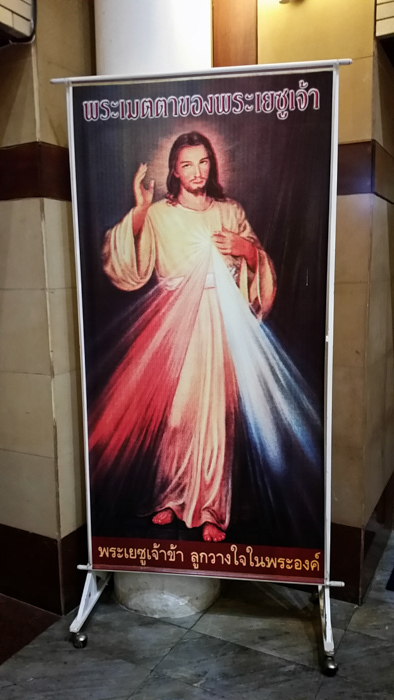 The evening concluded with Mass in Thai. I concelebrated and observed how devout everyone is. 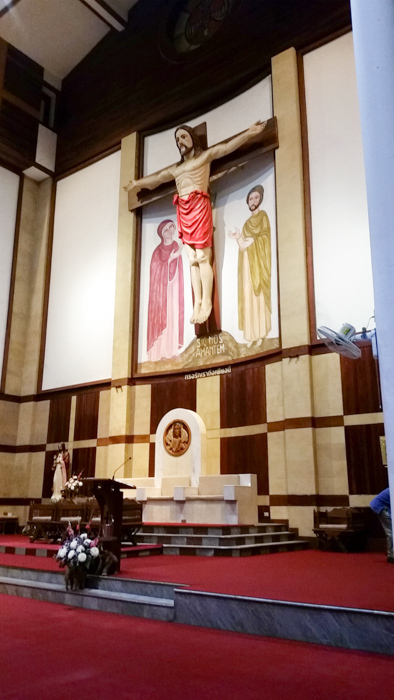 They folded their hands in prayer all through the readings and everyone sang and chanted. 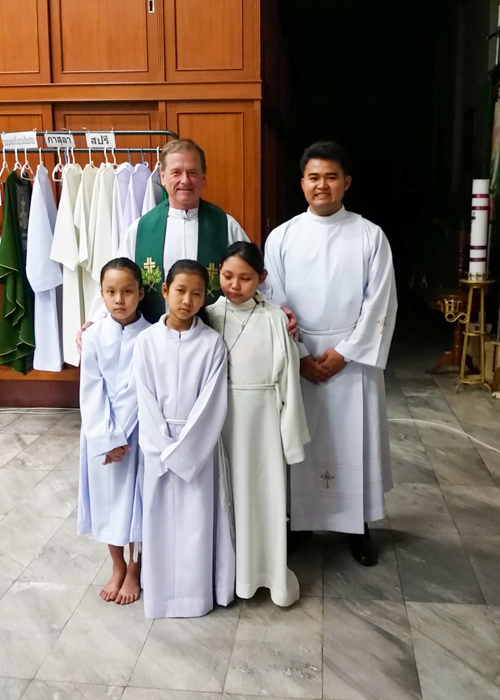 I was given the privilege of administering Holy Communion and was struck by the reverence. 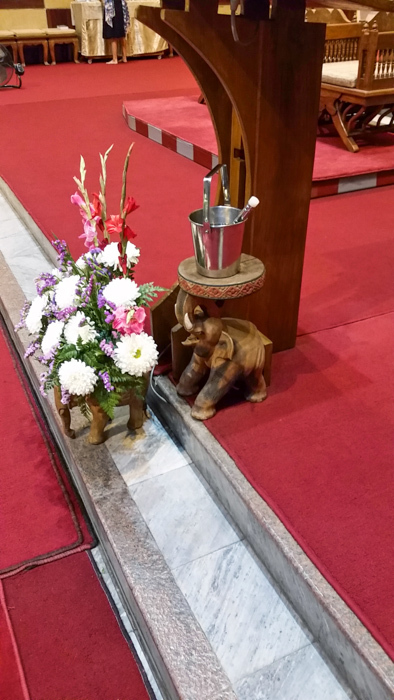 Although Mass was in Thai I felt at home because I was with my tribe! What a wonderful way to conclude this trip. Sunday. 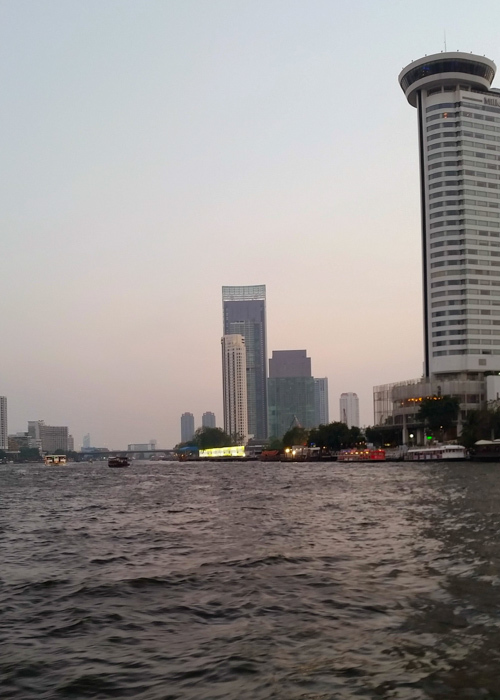 After a long day of transit I was back in Bangkok. 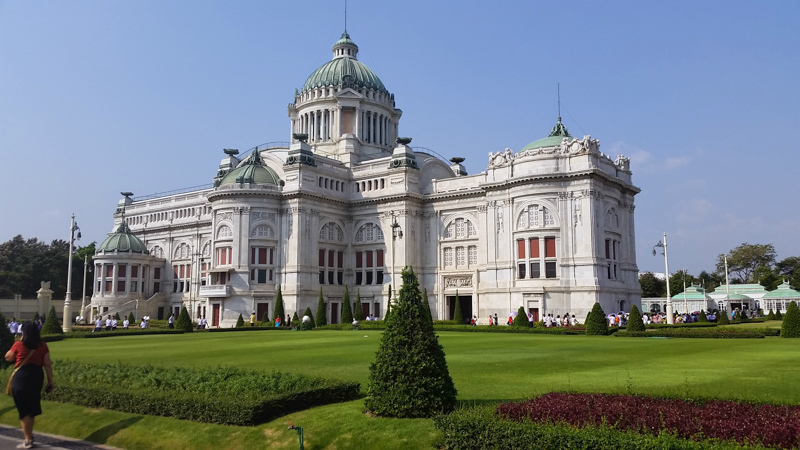 That afternoon I visited the Ananta Samakhorm Throne Hall also called the marble hall designed by an Italian architect and built of imported Carrara marble. 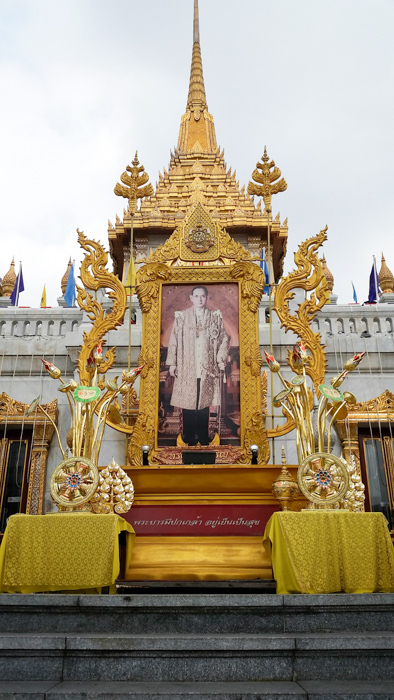 It was intended for King Rama V (from the King and I) however it was not finished until the reign of his son, Rama VI. Interior photos of this impressive hall were not allowed. And it houses “Arts of the Kingdom” which is a display of beautiful master works of silver and gold and textiles. 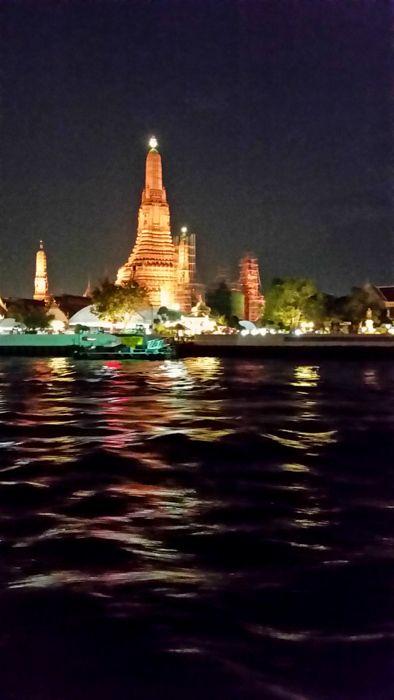 The evening concluded with a cultural show which highlighted the history of the Thai people. Before the production there was a film spot on the King. The King has no political power however he is beloved by the people. 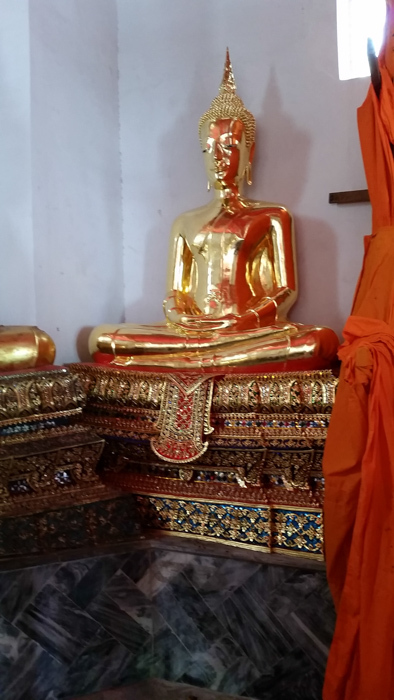 He has reigned for 60 years and the royal family lives a simple life and avoids any ostentation rather they devote themselves to royal projects that are for the cultivation of local economy that lifts up the people and preserves their cultural heritage. 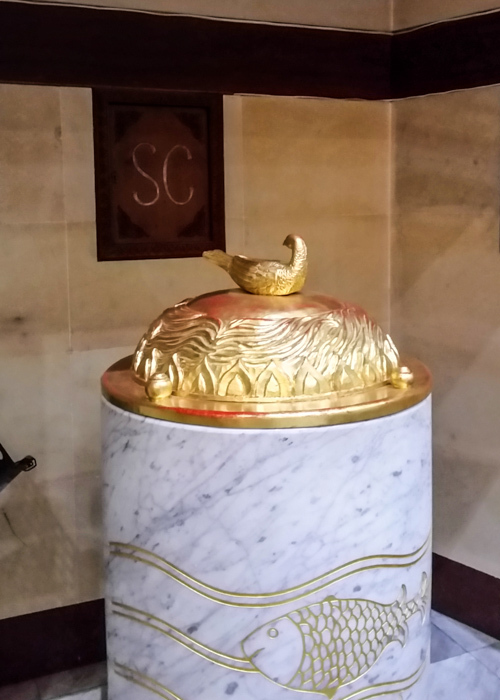 At the end of the film there was a quote from the King on the day of his coronation: “I will reign with righteous for the welfare and happiness of my people.” This struck me because it set forth for the mission of all those who exercise authority which is given for the common good. Final day. 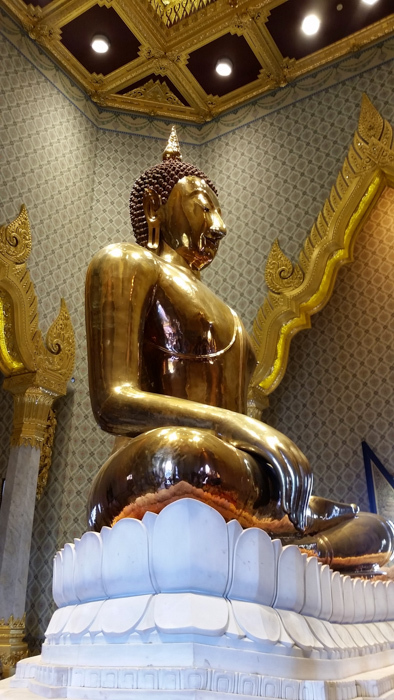 The morning began with a visit to the golden Buddha which weighs 5.2 tons and worth $250 million. 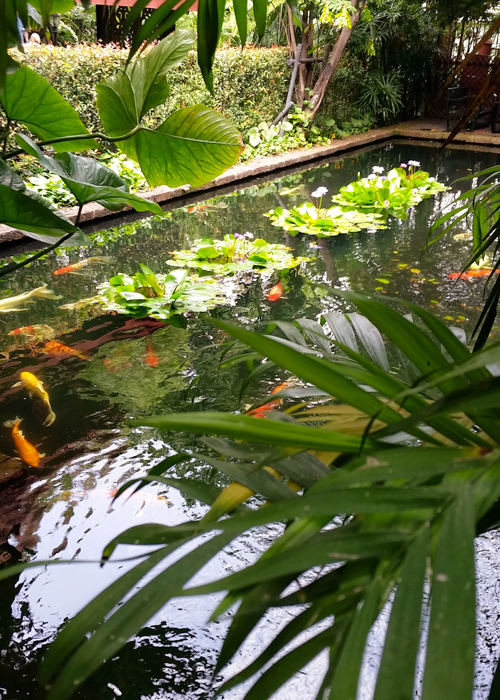 Then a visit to the Jim Thompson house. He was a Princeton architect who took several old teak Thai homes and configured them into a single home. 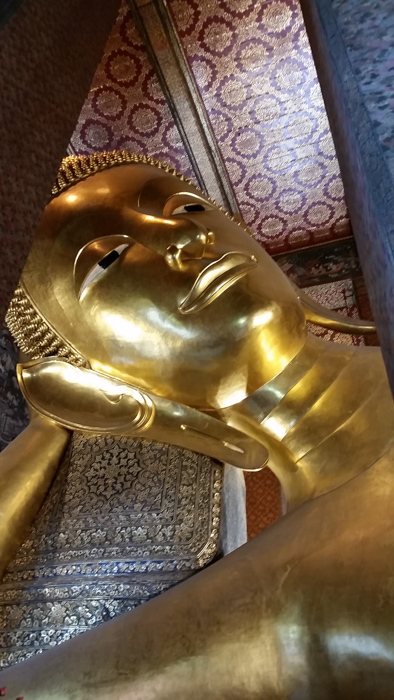 He also restored after WWII the lost art of Thai silk and marketed it through the world. 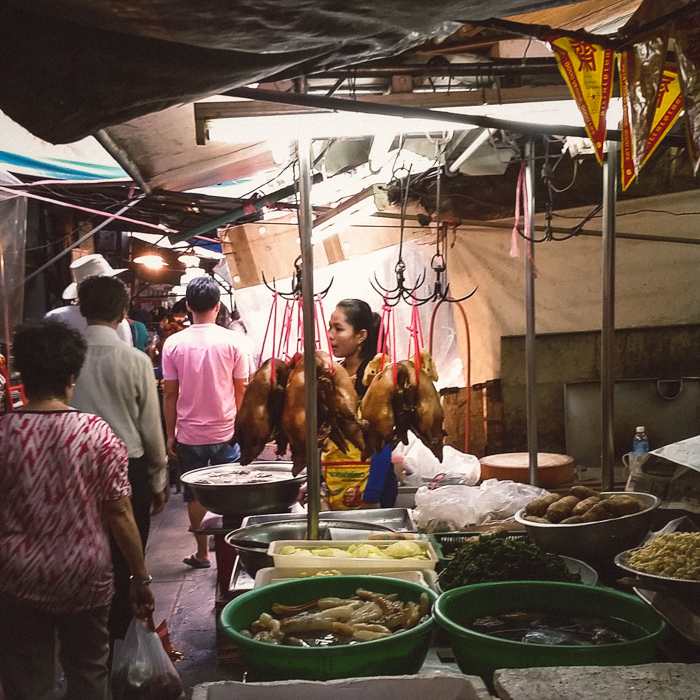 This was the final evening and I am still trying to absorb what I experienced in a culture whose religion is so foreign to me. 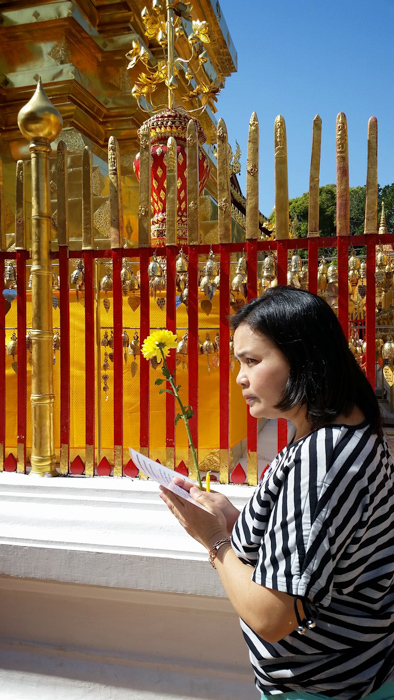 However what I experienced that resonated with me so deeply was the respect with which the Thai people treat one another. The words of the Gospel that call us to mutual respect continued to echo in my mind. 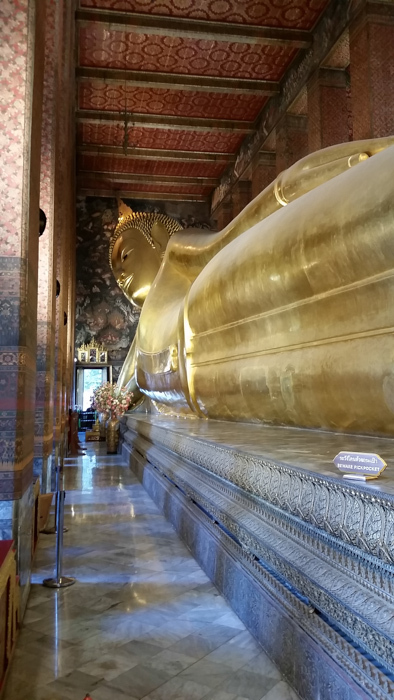 This entry was posted in Faith, Travel and tagged Deacon, Golden Buddha, Mass, Thailand on March 13, 2015 by frjfkauffmann. 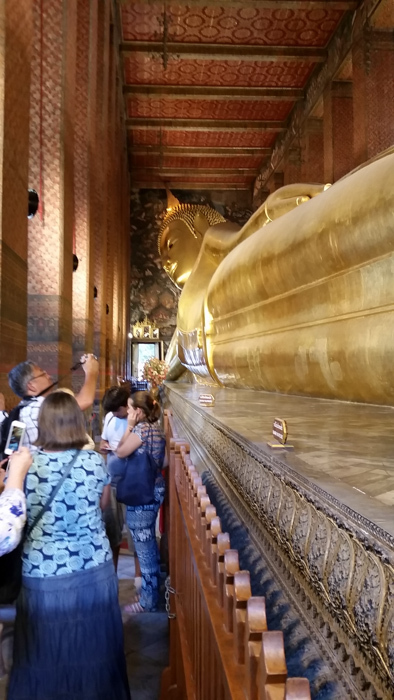 After we left the Royal Complex we took a long walk to the temple that houses the golden reclining Buddha. 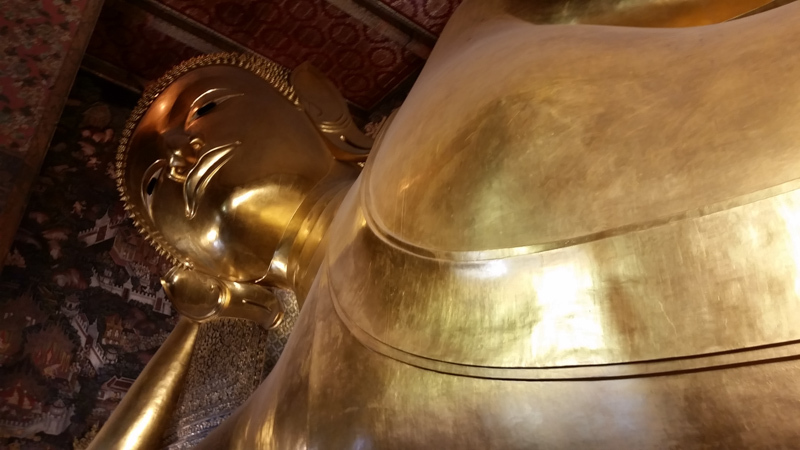 I was stunned at the size of this Buddha. 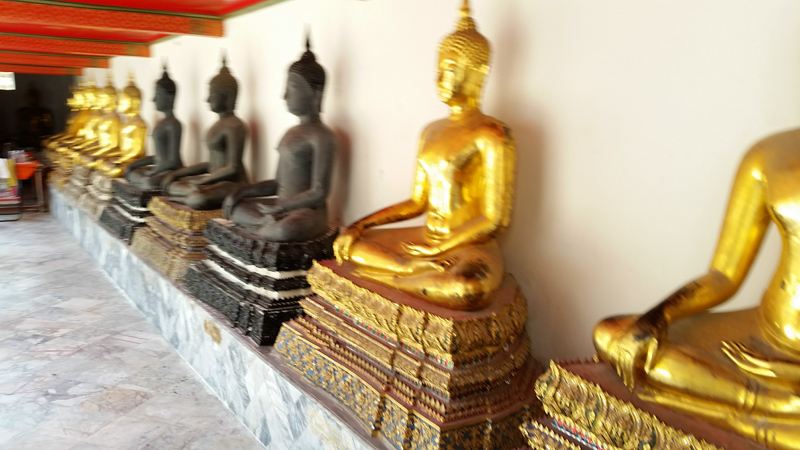 We then visited a workshop where more Buddhas were being restored. 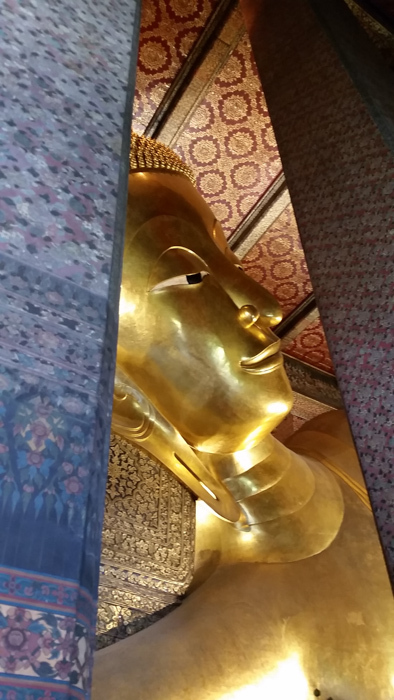 This entry was posted in Travel and tagged Golden Buddha, Thailand on February 12, 2015 by frjfkauffmann.